Alex Leete, a 55-year-old who lives on the Costa del Sol, will take part in the Marabana Havana half marathon in Cuba to raise vital funds for Canine Partners. 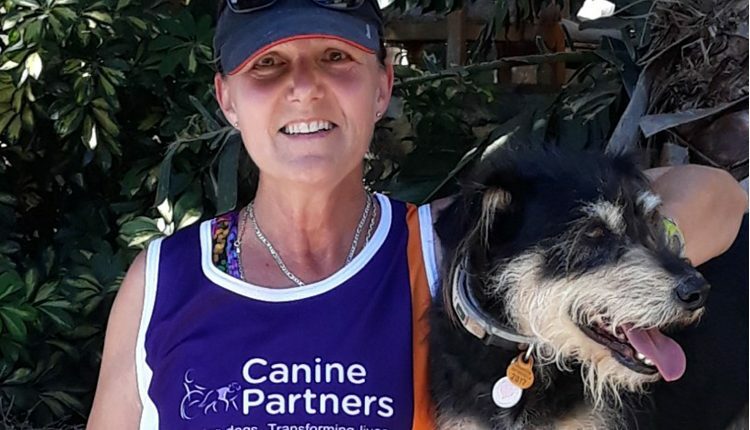 Alex Leete, a 55-year-old who lives on the Costa del Sol with two rescue dogs, a retired horse and eight tortoises, will take part in the Marabana Havana half marathon in Cuba to raise vital funds for Canine Partners. It was Alex’s 86-year-old Dad who initially set down the challenge of running the Marabana Havana half marathon, to take Alex’s mind off of not being able to ride horses anymore. Having ridden horses since she was a child, Alex was in a serious accident earlier this year and has decided to give up riding and retire her horse. This is the challenge Alex needed to take her mind off of the lack of riding. When it comes to training, Alex’s plan went out the window when she sprained her ankle but she is now back to it and tries to do something each day to regain some fitness. From dog walks to long runs, Alex lives in a mountainous area of Spain and thinks this will be good for her stamina. You can sponsor Alex for the Marabana Havana Half Marathon on her JustGiving page by clicking here. Are you up for a challenge? Whether it’s a marathon, an abseil, a skydive or another amazing idea, please visit caninepartners.org.uk/challenges/ for more information.